Quite the paint job. The skin tone is lovely and really vivid. Rich tones and smooth transitions. Gets to a point where I'm really running out of adjectives. I've been painting like crazy lately having set up my hobby desk somewhat. It's odd how without doing anything, one's technique can improve. You ever experience that after a long hiatus? Cheers mate - I'm looking forward to seeing you get back into the swing of it yourself! I think you are right about finding improvements after a long hiatus - I've certainly found it myself. As long as you are still looking at top models online and analysing the work / reading tutorials and tips etc, a lot of it sticks and your "eye" for what works develops. 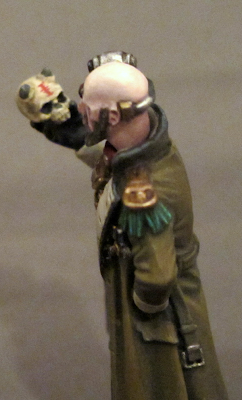 The one thing that doesn't improve for me though is brush/paint control. 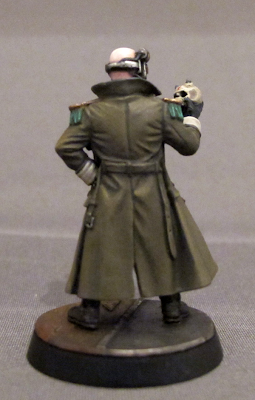 I spent a lot of time on this one just trying to get a feel for thinning paint to the consistency I wanted again. 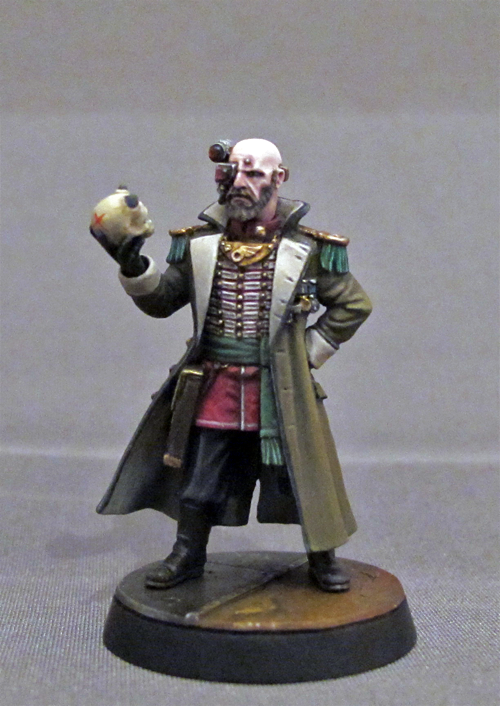 Ok that is a fantastic conversion,it looks like the death korps commissar and scout sergeant Telion. 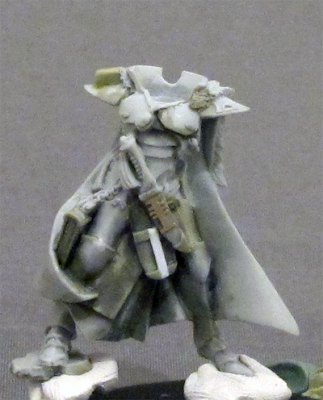 The converted deat korps commissar is damn nice. 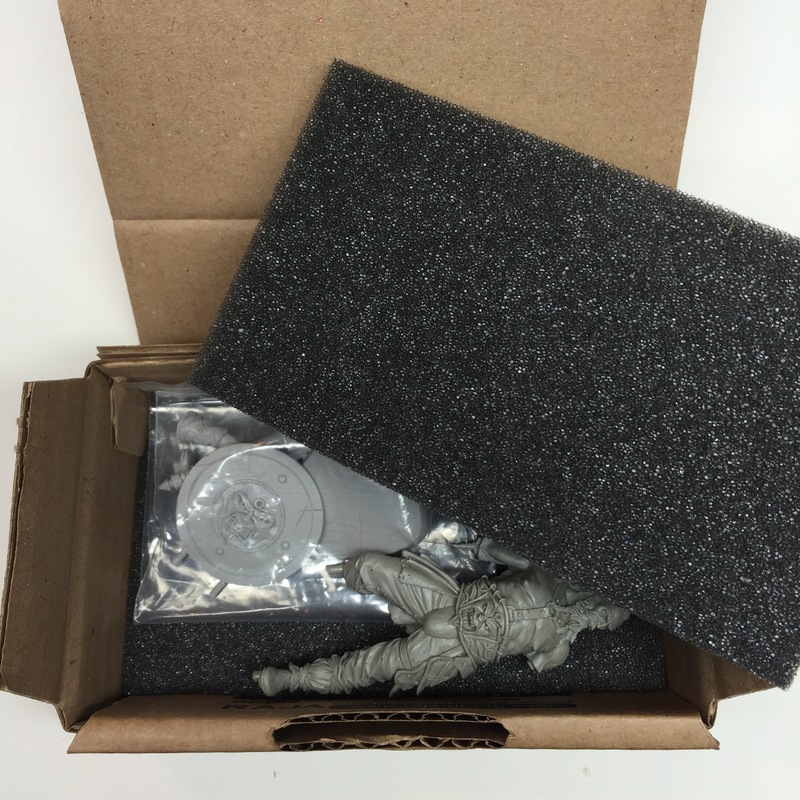 I really like how one can recognize several of the different bitz that went into this mini and that the bitz looks like they were ment to be used that way. Great conversion with a nice paintjob to boot. 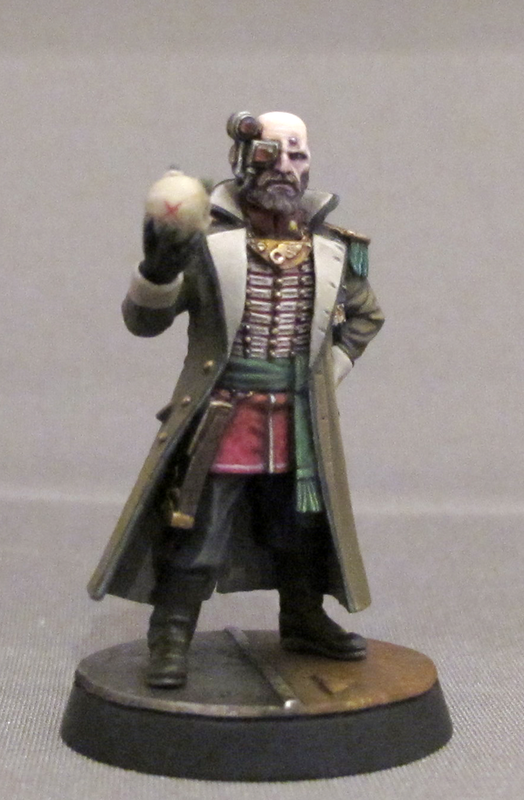 My facorite of the whole mini is however the face, it is particulary well painted and the ruff and worn (yet tidy) face really suits the mini. Thanks for commenting. The skull comes from the Vampire Counts skeleton set and the hand and horns were sculpted on using a mix of 50:50 GreenStuff and Milliput.